Home | Posts tagged "exhibition"
The year just passed saw the celebration of the bicentennial of the Gallerie dell’Academia, one of the most important Venetian museums, where you can find the best collection of art from Venice and the whole Veneto, especially paintings from 14th to 17th century. The Gallerie were born in 1817, a special moment in the artistic history of Venice: there was a cultural awakening of the city, together with a rediscovery of the ancient glory, arresting the decline followed by the fall of the Serenissima. Among the major artists represented at the Accademia there are Tintoretto, Tiziano, Canaletto, Giorgione, Giovanni Bellini, Vittore Carpaccio and Veronese. Besides the paintings, in the Gallerie you can also find sculptures and drawings, including the famous Vitruvian Man by Leonardo da Vinci, which is only exhibited on special occasions. The exhibition, open until April 2nd 2018, celebrates the crucial years of the cultural revival which begun in 1815 with the return from Paris of the four horses of San Marco and the lion of the column on the pier of San Marco, symbolic works of Venice stolen in 1798 by Napoleon’s army, and ended with Canova’s death in 1822 in Venice. The exhibition revolves around three key figures: Cicognara, Canova and Hayez. 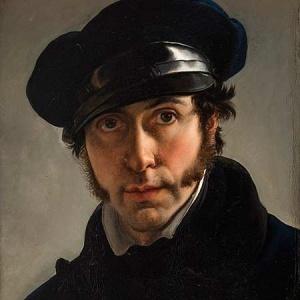 Count Leopoldo Cicognara, (Ferrara 1767 – Venice 1834) intellectual, art historian and biographer, engaged in the preservation and enhancement of the past and at the same time in supporting contemporary art of those years. He was president of the Academy of Fine Arts since 1808, where he had important results in the increase of the number of professors, in the establishment of awards for students and in the improvement of the courses of studies. He was also the creator of the Galleria for the exhibition of Venetian paintings that now celebrates 200 years of life. 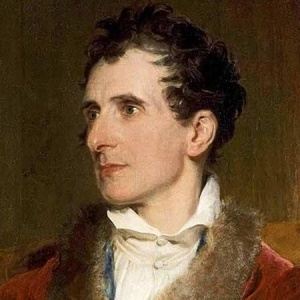 Antonio Canova, (Possagno 1757 – Venice 1822) famous sculptor, is considered the greatest exponent of European Neoclassicism in sculpture and he was in charge of the recovery of the works of art stolen by Napoleon during the occupation. 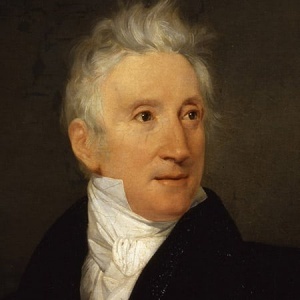 He was also highly appreciated during Romanticism, especially in Italy, where he was able to ignite national pride during the Risorgimento, to the point of being considered the tutelary genius of the nation. Francesco Hayez, (Venice 1791 – Milan 1882) an innovative and multifaceted Venetian painter, one of the greatest exponent in Italy of the Romantic movement, left an indelible mark on the history of Italian art thanks to his works, many of which contain a hidden Risorgimento political message. Cicognara, in an epistle sent to his friend Canova in 1812, wrote of his ambition to see Hayez becoming the interpreter of national inspirations, capable of giving new life to the great Italian painting. The current exhibition is divided into ten thematic sections, among which stands out the meeting of the series of artifacts sent in 1818 to the court of Vienna for the wedding of Emperor Francis I, known as the “Homage of the Venetian Provinces”, which return to Venice for the first time in 200 years. Inside the exhibition there are also paintings, sculptural groups, two ares and two large marble vases, a table made of bronze and wood with the top covered with precious Murano glass and precious bindings representing the highest artistic production of the Venetian Neoclassicism. 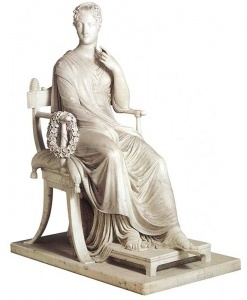 The visiting path also features the Musa Polimnia by Canova, completed in 1816, which has a troubled story which is told for the first time on this occasion. In 1898, after the death of Empress Elisabeth of Austria, the sculpture passes into the collection of her niece, Archduchess Elisabeth Mary of Austria, daughter of Rudolf of Hapsburg-Lorraine. In 1942, after two years of negotiations and the payment of an exorbitant sum, the Musa Polimnia became property of Adolf Hitler, who wanted it for his Fuhrermuseum in Linz. Found by the Americans in 1942 in a castle, it was moved to Munich, Germany. Only in 1964 the statue returned to Hofburg, in the same rooms that had hosted it until 1929, and then moved for a few months to the Gallerie dell’Accademia in Venice. Ca’ Pesaro, the grand palace of the second half of the 17th century where the International Gallery of Modern Art of Venice is located, is hosting a beautiful exhibition which nears its end. 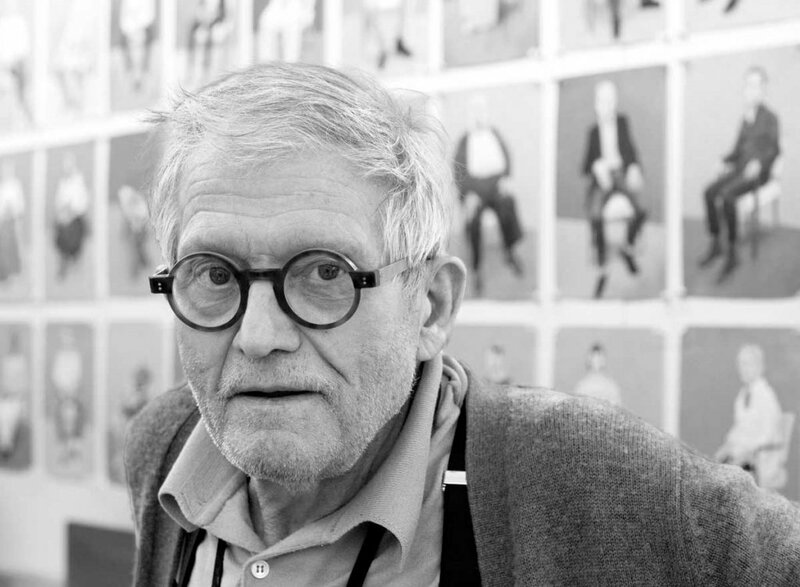 The exhibition of David Hockney, from June 24th to October 22nd, is the first Italian exhibition focused on the master of contemporary art, and it has brought for the first time in our country his most recent project: 82 portraits and a still life. 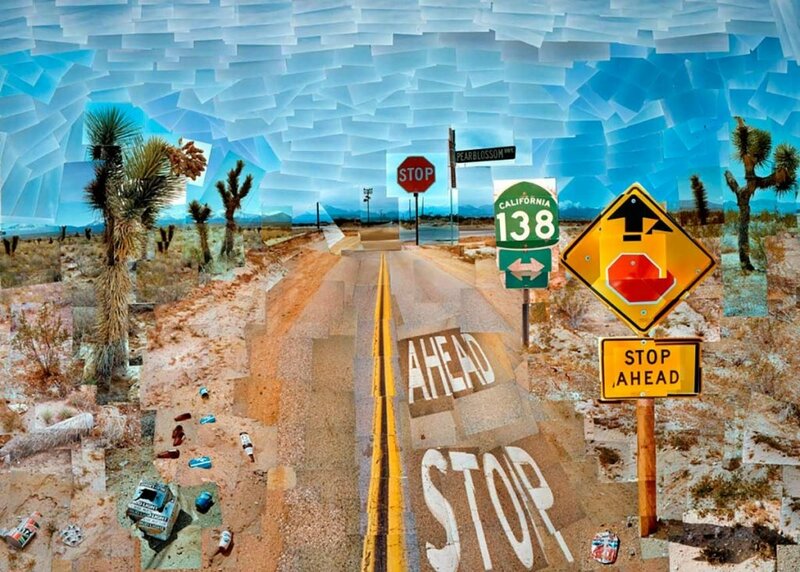 David Hockney was born on July 9, 1937 in Bradford, a British industrial town in West Yorkshire, and attended the Royal College of Art in London after graduating at the Bradford School of Art. In 1960 he exhibited at the historic Young Contemporaries at the Whitechapel Art Gallery in London, an exhibition which marks the birth of the British pop art, and David became one of the major exponents. In 1961 he travelled to the United States for the first time, destination New York, and then in 1964 he went to Los Angeles, a city that inspired him with his dazzling California light: he became an interpreter of that particular light, turning the atmosphere of the American life into famous works. His work, from the beginning to the present, has the figurative element as the absolute protagonist, from portrait to landscape, through the use of traditional art and new media techniques. David ranges among pastel designs, engravings, oil paintings, photographic collages, designs on the iPad, portraying the life around him, and he works also on many scenographies both in England and in the United States. 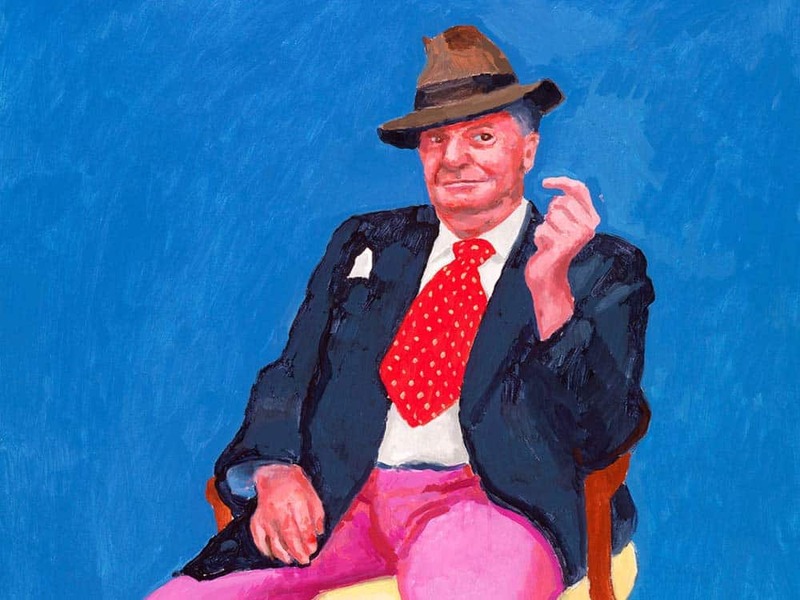 His artworks lead him to become one of the most famous and important artists of the twentieth century and, for some decades, the best-known British artist. I’d like to indicate a quote to his famous picture “Portrait of an Artist (Pool with two figures)” in one of my favorite Netflix series: in the Bojack Horseman’s living room there is a funny “horse version”. In the current exhibition at Ca’ Pesaro we can see the 82 portraits made between 2013 and 2016 featuring gallerists, curators, artists, well-known and familiar faces in Los Angeles, as well as family members and friends. Each portrait is executed under the same conditions: the realization time is three days (or, as the artist says, “twenty hours of exposure”), with the subject sitting in a chair on a platform with a neutral two-tone background, to prove that, within the limits of these rigid standards of representation, the greatness of the master is measured by his ability to express an infinite range of human feelings.